Qualification: i) A recognized medical qualification. ii) Completion of the Compulsory rotating internship. iii) Registration with the Medical Council of India. Selection Process : Selection will be based on Written Exam and Interview. Pay the Examination Fee through Internet Banking / Debit/ Credit Card only from State Bank Collect system of State Bank of India (SBI) website. 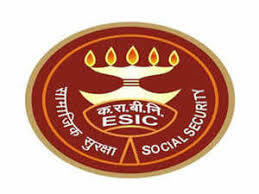 How to Apply : Eligible candidates may apply online at ESIC Delhi’s website (https://www.esic.nic.in/) from 12 Oct 2018 to 10 Nov 2018 till 11:59 PM.